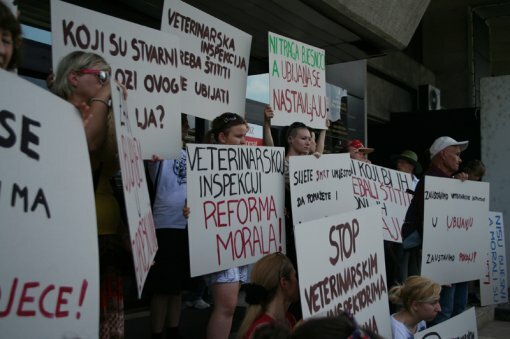 06/18/12 Let's Stop Maniacal Killing by Veterinary Inspectors! 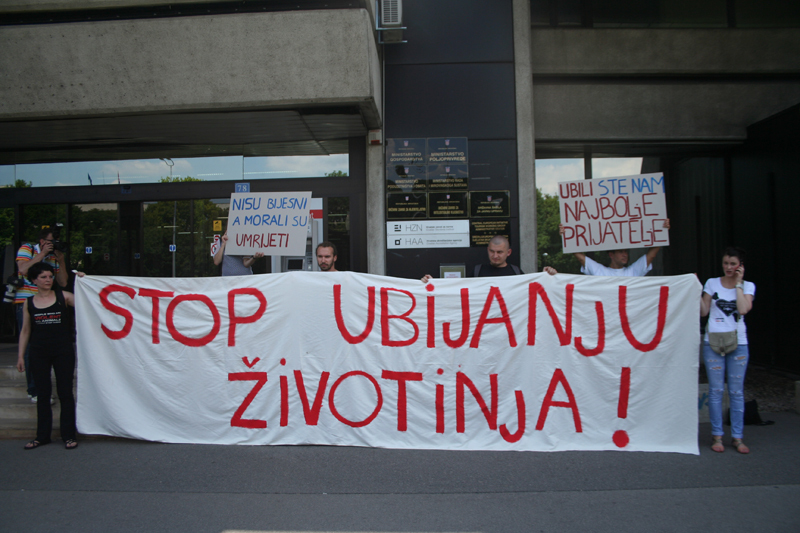 - Affair in Ministry of Agriculture: about 50 animals have been killed in one day, killing continues today - inspectors are using a fear of supposed rabies to destroy the best two animal shelters in Croatia! 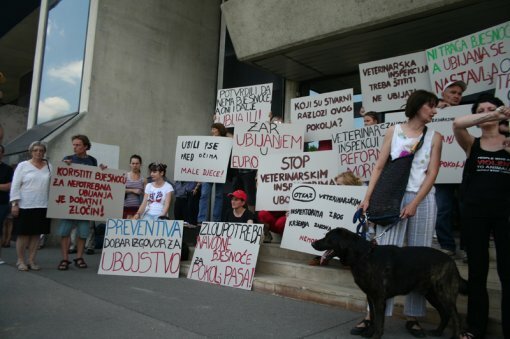 Veterinary inspectors Miljenko Jurjevic, Marica Cikojevic i Ljerka Fuckala have killed more than 50 animals in Zagreb's animal shelter in Dumovec, a shelter Noah's Arc and in the homes of people that have recently adopted dogs from shelter, and this killing continues! They enter people's homes saying that they only came to control, and then kill the family dog in front of the screaming children, without even a word about quarantine or examination! Ministry of Agriculture has relesead an announcement to justify the killing by supposed danger of rabies because of the puppy that has been adopted a month ago from Dumovec to Samobor. According to the latest discovery, a rabid fox has entered the yard in which the puppy has lived, killed chickens and infected the puppy with rabies causing his death. But the inspectors obviously have been maliciously using the death of the puppy as the excuse for killing unvaccinated as well as vaccinated animals. The killed dogs in Dumovec were in quarantine, their health and behavior are constatly under monitoring by Dumovec's competent personnel, they were no threat to people nor other animals. Animals have even not been tested for rabies, but the inspectors killed them on the spot. Autopsy of the killed animals confirmed that neither of them has been infected with rabies. 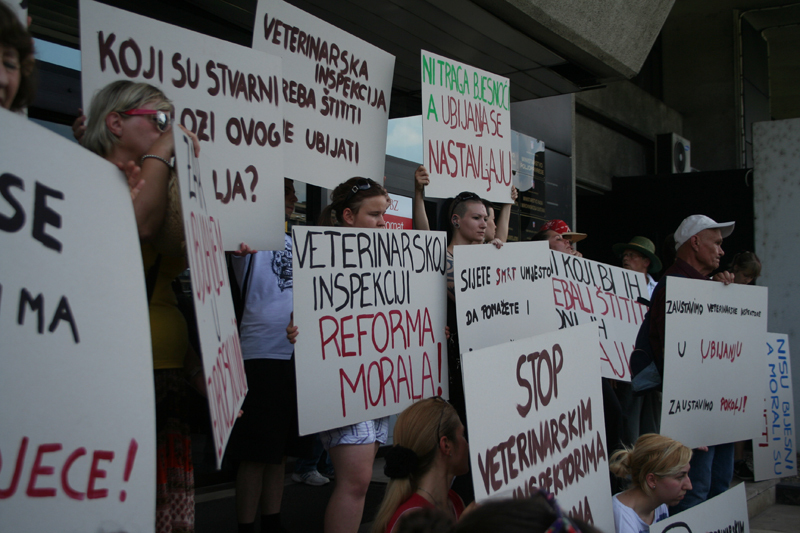 Despite that, veterinary inspection continues its deadly campaign to healthy animals! Does the Minister of Agriculture Tihomir Jakovina know about illegal attack of his inspectors at two best animal shelters in Croatia, which work was noted for several times even by his ministry as the example how the animal shelters should function? Does he know about intrusion of his inspectors in homes of the citizens and killing the healthy dogs in front of shocked children and family? 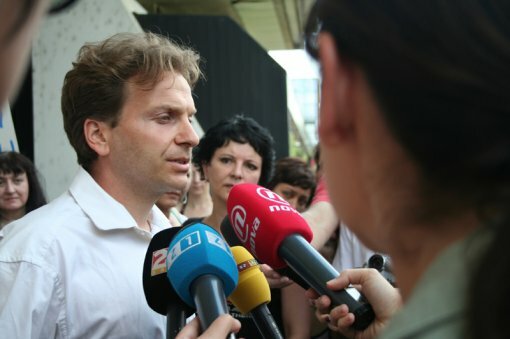 Does the Government and Prime Minister know that the inspectors of Ministry of Agriculture by closing the shelter with the excuse of fictive danger of rabies are making unmendable material damage to Zagreb and Croatia, regarding the assets given to the shelter and the fact that Dumovec adopt at least two or three dogs per day? Who will pay the damage made to the shelter right now when Croatia has to prove to European Union that stray animals are civilised cared for? Do the veterinary inspectors have their superiors approvement for their deadly attack to innocent animals and the intrusions in citizens homes? Why the veterinary inspection killed the animals in Noah's Arc shelter, which is even not in contact with the animals in Dumovec? 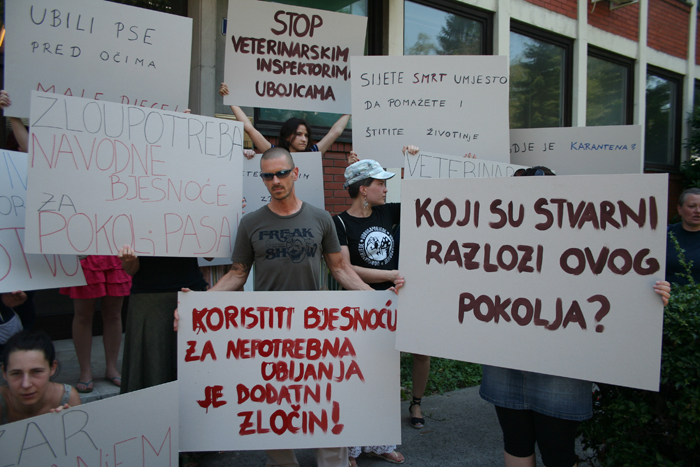 Why the veterinary inspection controls work of Dumovec many times more than "shelters" with many lawbreakings and dogs killing? Animal Friends is demanding the Ministry of Agriculture to urgently stop maniacal campaign of its inspectors to the miserable dogs and to sanction their lawbreaking acting. 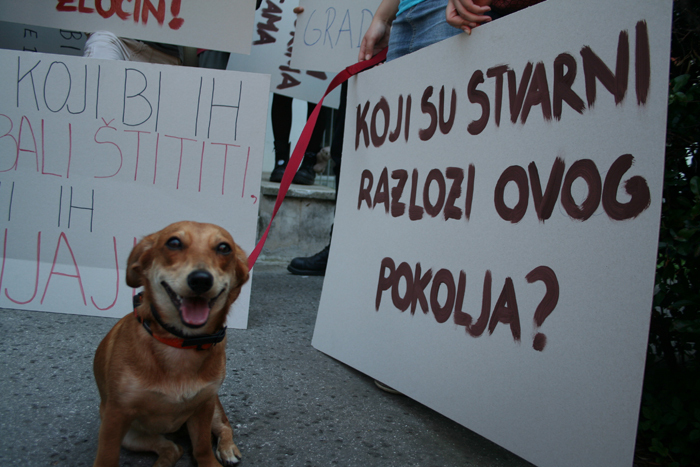 Animal Friends invites the citizens to join the demos on Monday, June 18, 2012 at 1 P.M. in front of the Veterinary Office (Planinska 2) and on Thuesday, June 19, 2012 at 1 P.M. in front of the Ministry of Agriculture (Ulica grada Vukovara 78), and the demontrations are to be continued. We are demanding killing to be instantly stopped, responsible inspectors and their superiors to be sanctioned and fired and we are inviting the citizens to write to the Ministry of Agriculture, the Government and the foreign organizations to save the other threatened dogs. As the institution of the City of Zagreb, the shelter in Dumovec is an example to the other shelters with its quality work and is also one of the few shelters with no-kill after 60 days policy. The personnel in Dumovec are professionals, additionally qualified by the education in foreign countries, and the number of adopted, castrated and vaccionated dogs as well as the education of the public about responsible threatment of animals speak for itself about their efficiency and efforts. Every dog has been vaccinated for rabies and other deseases when he is 3 months old, and the personnel knowingly conduct all the other law directives.